But a new report has revealed that Kate is looking to step-up her fashion game even further. According to The Daily Mail, a royal source alleges that Kate has hired a new fashion advisor to keep her style sharp. According to a source, Kate’s new stylist is Virginia Chadwyck-Healey. “Known as Ginnie, she is an old friend of Prince William and Kate, and attended their wedding at Westminster Abbey in 2011,” says the paper. Not only does Chadwyck-Healey run in the same circles as the Duke and Duchess of Cambridge, but she also went to college with them, studying at the University of St Andrews in Scotland alongside the royals. 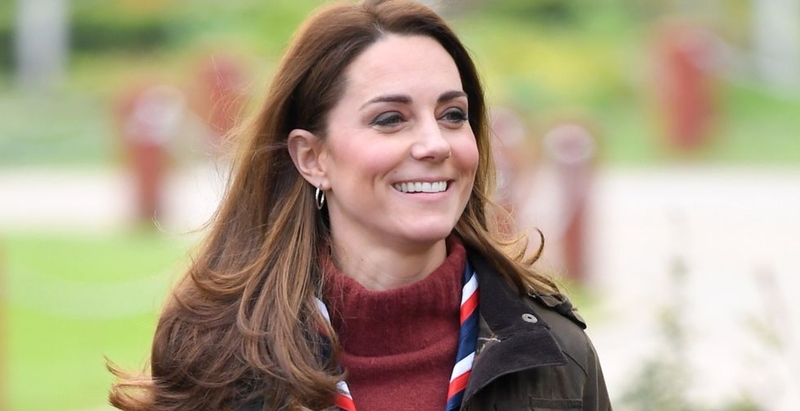 The Duchess’s recent looks included a chic Gucci blouse that she wore backwards and a stylish J.Crew sweater that she paired with combat boots. Prior to working with Chadwyck-Healey, Kate’s stylist was Natasha Archer. According to The Daily Mail, Archer is currently on maternity leave.